This original, handmade collage measures 9" x 12". It is composed of various papers as well as some rolled block printing ink. It is mounted on heavy chipboard. 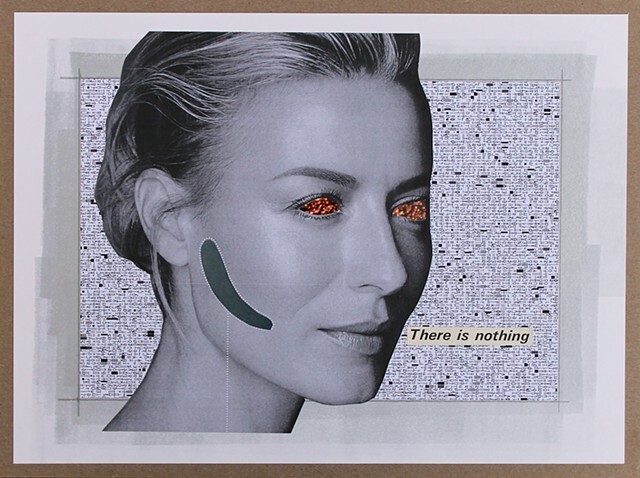 Titled 'There is Nothing', it has a bit of a fatalistic, science fiction feel to it. Tough times, tough art.